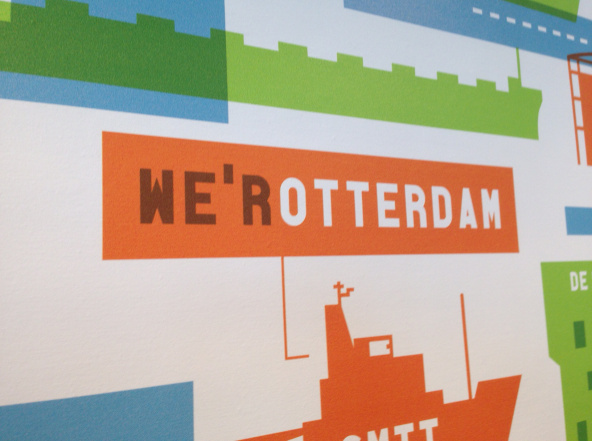 On April 16th, the first in a series of symposia will take place in preparation of the book ‘Rotterdam, City of Migration.’ The book brings together work from various scholars from Erasmus University Rotterdam and beyond on how Rotterdam deals and has dealt with migration-related diversity. On March 30 and 31, a bilateral work visit takes place of French policymakers to Dutch counterparts. The work visit is part of the UPSTREAM project on mainstreaming integration governance. By bringing together policy stakeholders from both countries, the project aims to exchange experiences with mainstreaming integration policies. In het kader van het UPSTREAM project naar ‘Mainstreaming Integration Governance’, vindt op 30 maart een symposium plaats over ‘Mainstreaming; voorbij het integratiebeleid?”. Op basis van voorlopige bevindingen van het UPSTREAM project, zal tijdens het symposium de discussie aangegaan worden met stakeholders betrokken bij nationaal zowel als lokaal (Rotterdam, Amsterdam) beleid. Based on the DIAMINT project, this JCPA special issue (edited together with Frans van Nispen) focuses on how research-policy dialogues have taken shape in the field of migrant integration policy and research. 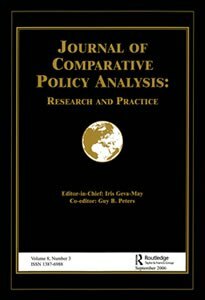 Very happy to be joining the Editorial Board of the Journal of Comparative Policy Analysis (JCPA), published by Taylor and Francis. Looking forward to contributing further to the development of this excellent journal, operating at the crossroads of policy sciences and comparative research. For more information, see www.jcpa.ca or at taylor and francis. The IMAGINATION project focuses on the local governance of the urban consequences of intra-EU mobility. The mid-term meeting of the project is to be hosted by the Austrian Academy of Sciences in Vienna, 19-20 February. For more information on IMAGINATION, see http://www.project-imagination.eu. Looking forward to the mid-term meeting of the UPSTREAM project, on the mainstreaming of integration governance in Europe. The meeting will be hosted by COMPAS in Oxford, 5-6 February 2015. 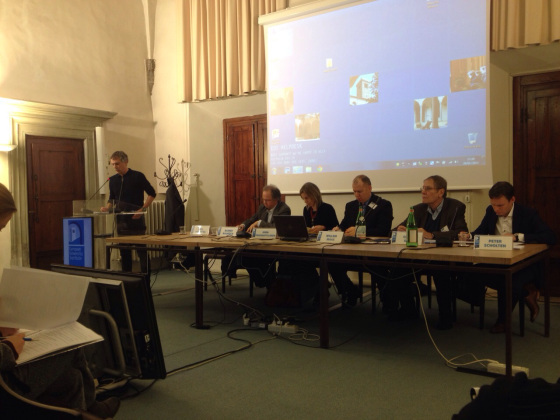 DuringIMG-20150217-WA0001 the IMISCOE Spring Conference on ‘Mobility in Crisis’ (EUI Florence 29-30 January), Will Kymlicka held an inspioring keynote on ‘Building solidarity in diverse societies; Moving beyond neoliberal multiculturalism and welfare chauvinism.’ Together with Rainer Baubock, Willem Maas and Claus Offe, I participated in a roundtable in response to Kymlicka’s talk. If you wish to relive Will Kymlicka’s keynote (and roundtable), click here. On 22 January, I’ll be opening speaker on a migration conference organised by the Department of Security and Justice. The conference discusses the impact of science and policy on the framing of immigration in media attention. My talk focuses in particular on the concept of framing, the methods for academics to study framing, and the strategies for policymakers to influence framing. See here for the full program. 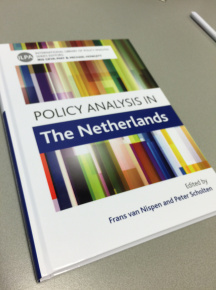 It's finally there, our book “Policy Analysis in the Netherlands”, co-edited with my colleague Frans van Nispen. It has been a long journey with many ups and downs, but really relieved that we made it. The Netherlands is one of the most exceptional cases in terms of the institutionalization of policy analysis (advisory bodies, planning bureaus). Together with Rianne Dekker, I’ll be doing a new project in 2015 on ‘Media attention, framing and immigrant policies.’ The project is financed by the Research and Documentation Centre of the Netherlands Ministry of Security and Justice. The project elaborates on a number of projects on policy framing and media analysis that we have conducted in recent years. Together with Christopher Weible and Stephane Moyson, I’m co-editing a Special Issue about “Policy Learning & Policy change: Theorizing their relation from different policy perspectives”. In the context of this project, we organize a panel at the International Conference on Public Policy (ICPP – July 2015, 1st-4th, Milan, Italy). See below for the call for papers. At the upcoming Metropolis conference in Milan, UPSTREAM will host a panel on ‘Mainstreaming Integration Governance in Europe: challenges and opportunities. The panel will be organized together with the KING project on Knowledge for Integration Governance. The panel is to take place on Tuesday November 4th, 16:00-17:45. 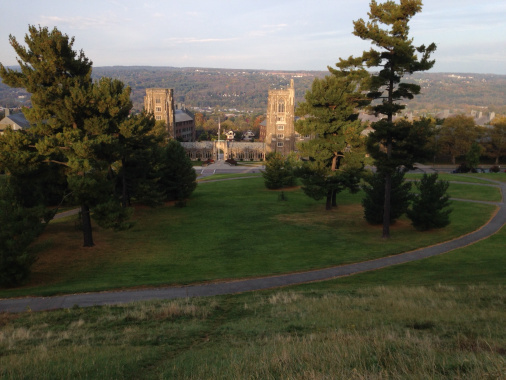 Two day workshop on ‘Theorizing Immigrant Integration in Multilevel States’, Cornell University, 10-11 Oct.
On 10-11 October, I’ll attend and speak at a two day workshop on “Theorizing Immigrant Integration in Multilevel States.” The workshop is organized by Michael Jones-Correa and Tiziana Caponio, at Cornell University (Ithaca). Participants include Ricard Zapata Barrero, Marco Martiniello, Ferruccio Pastore, Lina Newton, Els de Graauw, Karen Bird and Karen Schönwälder. 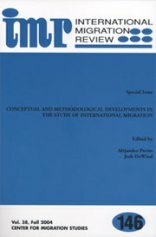 The article ‘A Local Dimension of Integration Policies? A comparative Study of Berlin, Malmo and Rotterdam’ is based on the FP7 project UniteEurope, on social media and integration. For this project, an analysis was made of local policies in various European cities, including Berlin, Malmo and Rotterdam, on which this article is based.